Just in time for the gift giving season! We’re big advocates for shopping locally or better yet, making a gift with your own two hands (or four if Kris is helping). 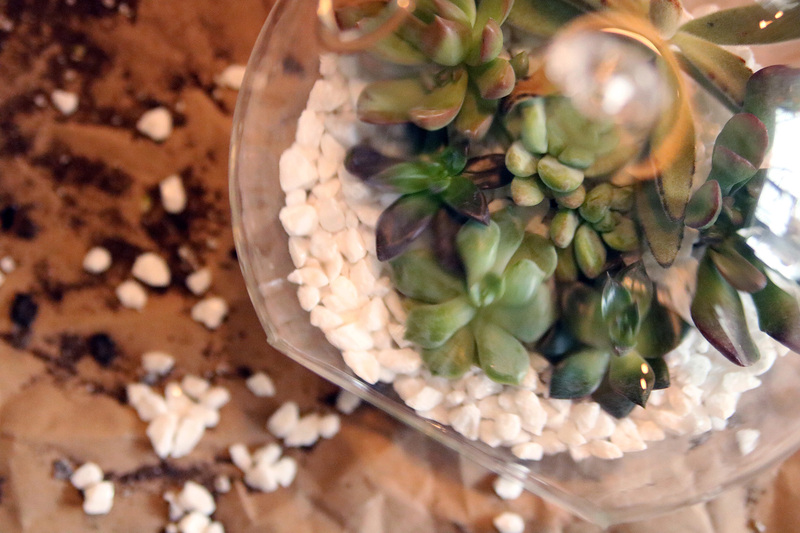 We’re loving these hanging terrarium globes that cost under $25 to make in about 15 minutes! You can find this 7″ globe just about everywhere including your local garden shop, Home Depot or online for about $15. 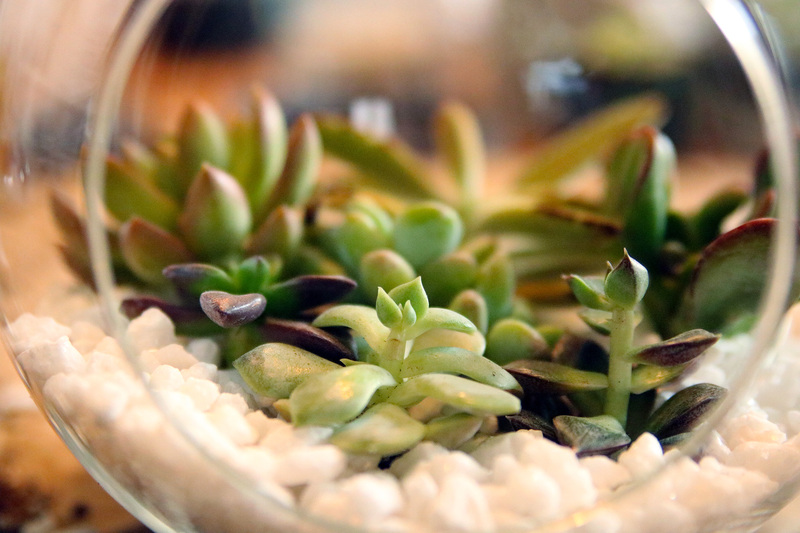 The mini succulents where $1.50 each. 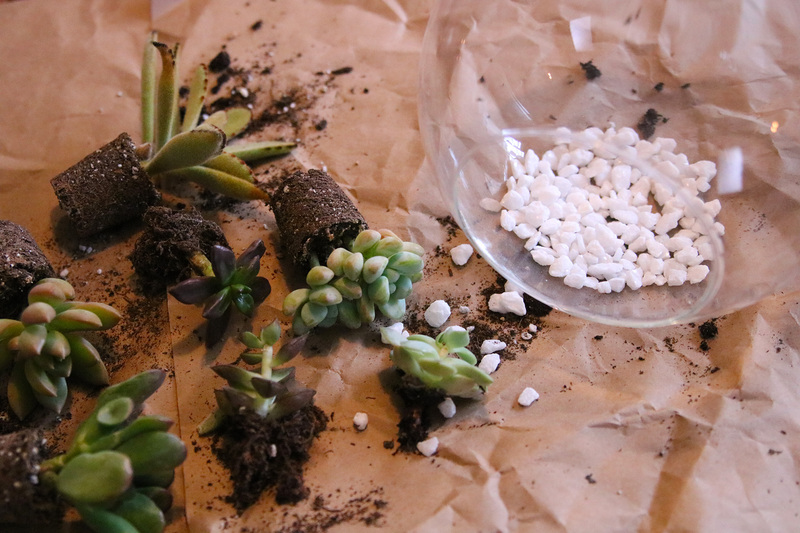 Lay out your succulents before planting, arranging from the tallest in the back to the smallest up front. We used white marble pebbles for easy drainage. Sprinkle a handful of pebbles at the base of the globe. 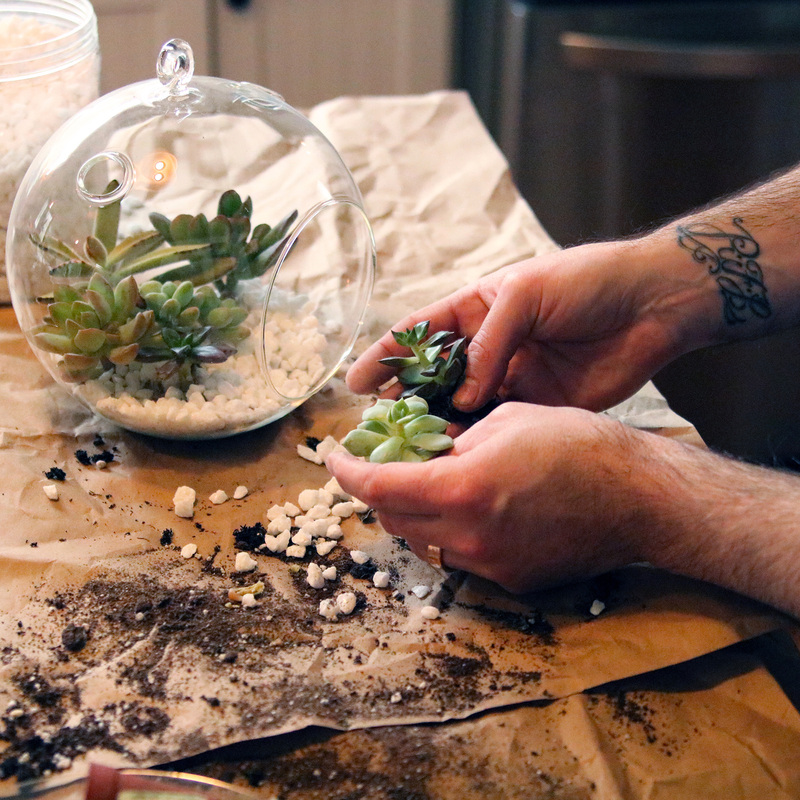 Place 1-2 succulents towards the back and sprinkle a few more pebbles to cover their roots. 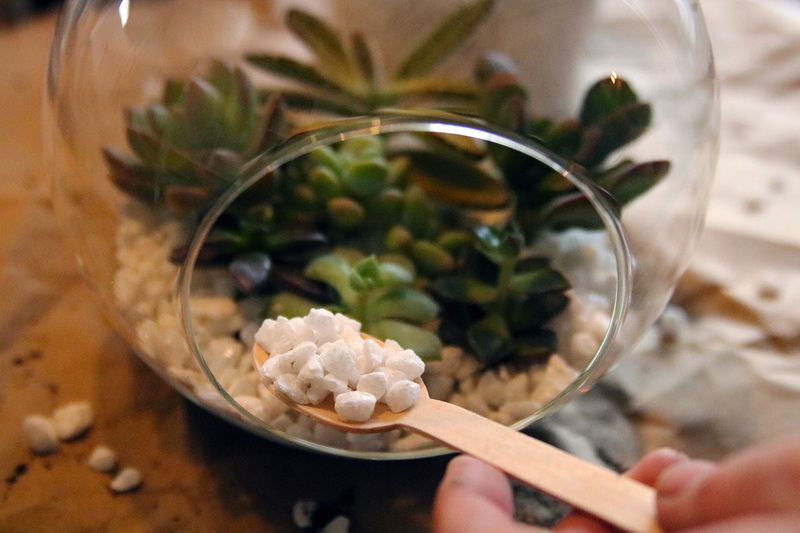 Use a small spoon to help scoop out the pebbles where your fingers can’t reach. 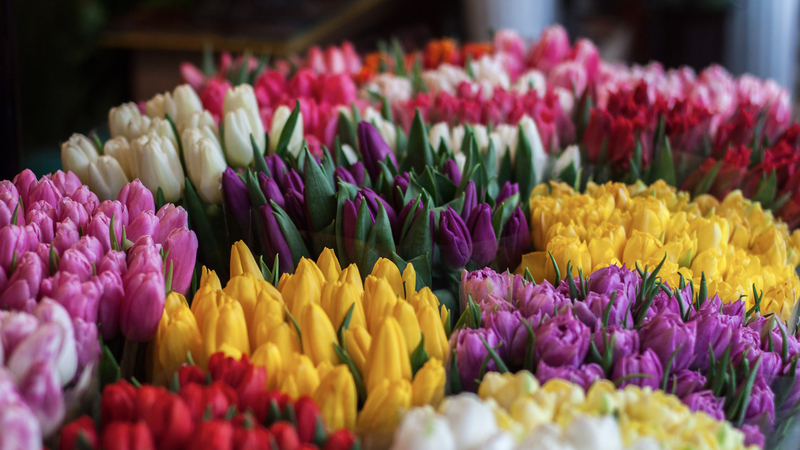 Working your way towards the front, start placing each plant and arranging accordingly. Add more pebbles around the edges and uneven areas. 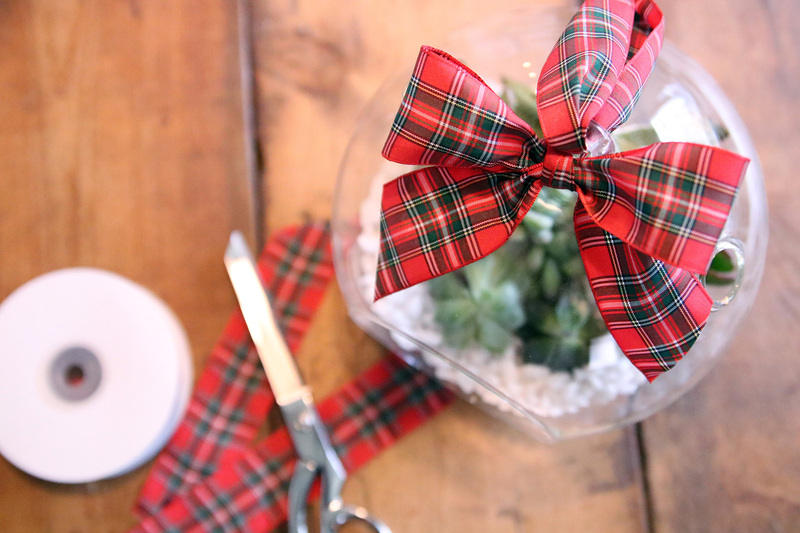 Optional: Top off the terrarium with a tartan ribbon loop and bow. Lastly, splash with some water. 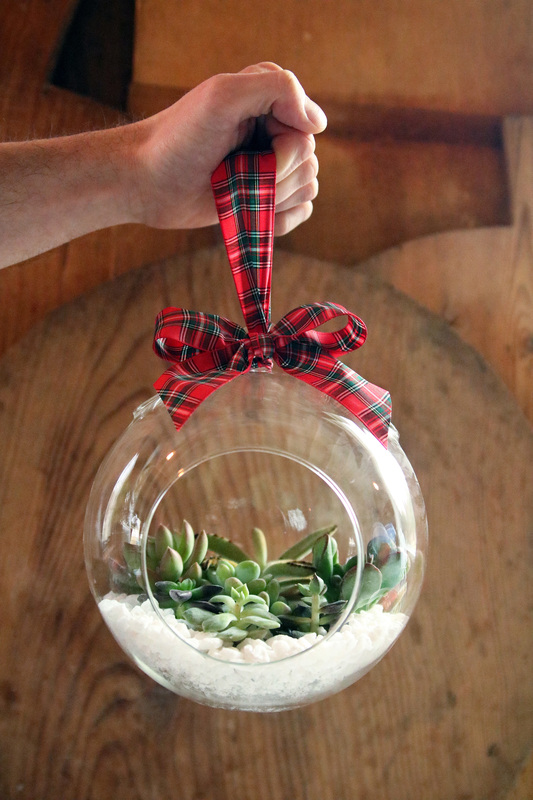 A simple gift to add greenery to any home. We love bringing these to holiday party hosts. 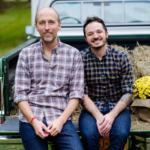 Happy Holidays from Shawn & Kris! Love this, really cute! Where did you find the hanging globe to start with?